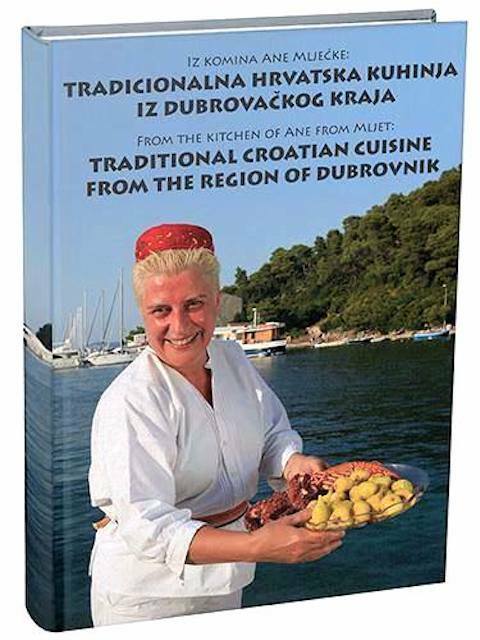 The best cooking comes from the heart, and there is no better cookbook to illustrate that than the newly published bilingual Iz Komina Ane Mljecke: Tradicionalna Hrvatska Kuhinja Iz Dubrovackog Kraja/From The Kitchen of Ane from Mljet: Traditional Croatian Cuisine From the Region of Dubrovnik. 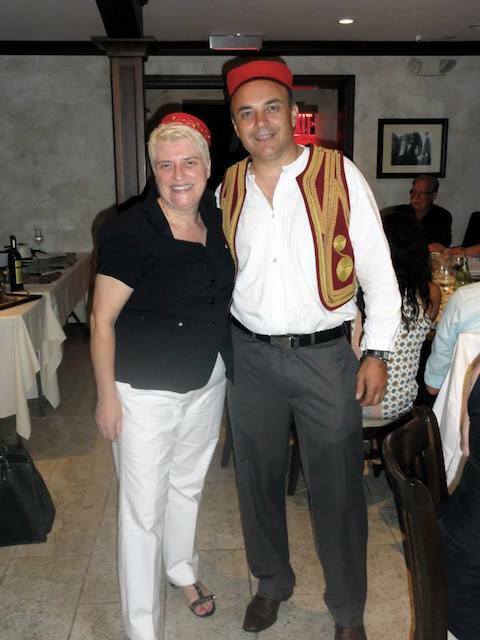 The author, Ane Strazicic Rodriguez, was celebrated by family and friends at a book launch party held on July 1, 2014 at Restaurant Dubrovnik in New Rochelle, New York. Ane was born on the Croatian island of Mljet, where she grew up in a fisherman’s family, which instilled in her a love for cooking. After moving to the United States in the late 1980’s, she married a professional chef from Puerto Rico, Luis Rodriguez, and had two children, Alberto and Michelle, who loved their Mom’s cooking and inspired her to compile the recipes from her native region in a cookbook. There are, of course, thousands of cookbooks on the market and many of them are elaborately illustrated “coffee table books:” People like to leaf through them but hardly recreate the recipes. Ane did what we all wish the most gifted cooks in our families had done or would do: she wrote down her most beloved recipes and organized them in the sequence in which she would serve them to us if were we sitting at her table. There are vibrant photos of the often simple but tantalizing dishes, and many shots of the whole family engaged in food preparation. To Ane food is a means to capture her own culinary memories and create new ones for the next generation. It is a means of pulling family and friends together. For that reason, she shares not only recipes and photos but also some of the traditions in which food and traditional beverages play a significant role, like when people on the island of Mljet receive their guests with an abundance of homemade brandies and savory and sweet delicacies to make them feel welcome. 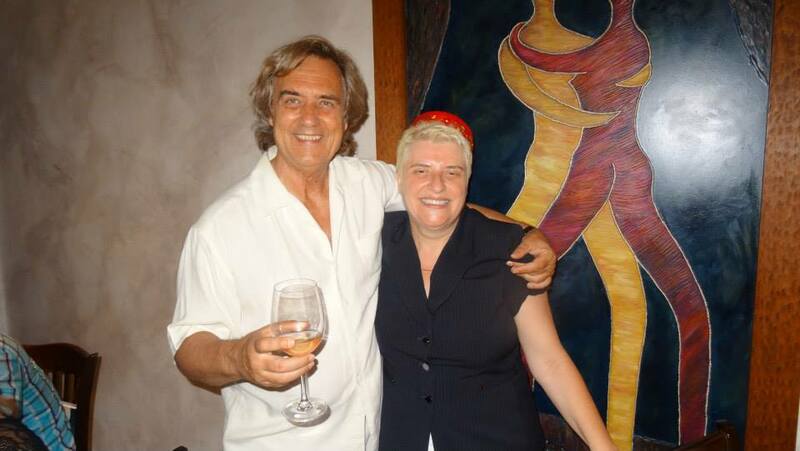 The book launch reflected the essence of the book: family and friends sampled some of the dishes, among them octopus with potatoes al brodetto and black cuttlefish risotto. And as the evening progressed, tables were pulled together and Klapa Astoria, as well as Sergio Gjivoje led everyone into singing traditional Croatian songs. It felt like a family celebration.